Are you looking for a great way to keep your hot tub off the grid? Do you want to cut down on your electrical bills but still keep your spa operating? If so, you need a solar hot tub cover! What is a Hot Tub Cover? Why Does Your Hot Tub Need a Cover? With a floating solar spa and hot tub cover, you can heat your spa water by harnessing the power of the sun. Whether you choose to use a floating spa blanket style or opt for a solar panel hot tub cover, you can find everything you’re looking for on this handy list below. With this list, you’ll learn about how to pick the right floating spa cover for your sun-based heating needs, and you’ll also find solar spa cover review information to help you choose solar panels if you prefer to go that route instead. Whatever you’re looking for in terms of hot tub covers, you’ve come to the right place. Read on to learn more. Use this 7 Feet by 7 Feet Thermal Blanket for all your hot tub heating needs! If you have a smaller hot tub you’re looking to heat the all-natural way, look no further than this bubble style thermal blanket to get the job done right. Simply float this blanket on the surface of your hot tub and let it do the work for you! It will absorb heat from the sun and keep the water in your spa warm at all times. You can use it in conjunction with a hard plastic traditional cover for added protection or use it on its own. Either way, it will provide you with warm hot tub water whenever you need it. Stiff plastic is easy to spread and pick up as necessary. The plastic cover won’t get bunched up or stuck in your filter unit with frequent use. Cuts down on the number of times your spa runs naturally during the day to heat the water. May need to be rinsed before first use since it can cause foaming in your spa water. May not cover the entire surface of the spa, leaving an inch or two around the perimeter. May look dirty very often and will need to be cleaned as part of your regular cleaning routine. The Solar Cell 8x8 ﻿﻿﻿Thermal﻿﻿﻿ Spa Blanket is a bubble-style hot tub cover designed to float comfortably on the surface of the water without ever bunching up or becoming dislodged from the use of the jets. This blanket retains heat from the sunlight when you use it underneath a traditional hard plastic spa cover. Working together, the two types of covers can help move heat from the sun directly to the surface of your spa water, which in turn keeps it heated at all times for quick use and a lower electric bill too. Durable plastic cover stays flat even when the jets are running in the hot tub. The extra heavy cover won’t be damaged in inclement weather. Despite its increased thickness and weight, it’s very easy to remove and replace as needed. May arrive with some bubbles missing or popped from transit. May need to be replaced after a few years of extended use. May have an uncomfortable smell for the first few days after opening. Bring home this 9 ft. x 9 ft. Floating Solar Spa and Hot Tub Cover to heat up your hot tub the natural way! 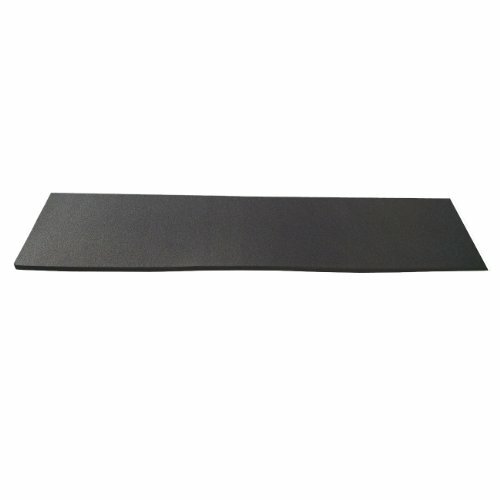 This spa cover is made to be light and thin, and much easier to handle than traditional bulky spa covers. It spreads evenly over the surface of your hot tub and is made from a material that absorbs the heat from direct sunlight. From there, that heat is dispersed throughout the water in your hot tub, providing plenty of warmth without having to constantly run your heater. Best of all, as soon as you remove the spa cover, your water will be hot and ready to go! This nice blue color looks aesthetically pleasing on top of your hot tub. Durable thickness is great for use in bad weather or direct sunlight. Cuts back on the number of times your hot tub kicks on regularly. May arrive with a seam down the center that will need to be pressed out. May have a very strong and unpleasant odor on arrival that will wear off in a few days. The cover will need to be replaced after a couple of years of extended use. If you have a large spa that needs to be heated the natural way, look no further than this 10 ft. x 10 ft. ﻿﻿Floating Solar Spa and Hot Tub Cover. 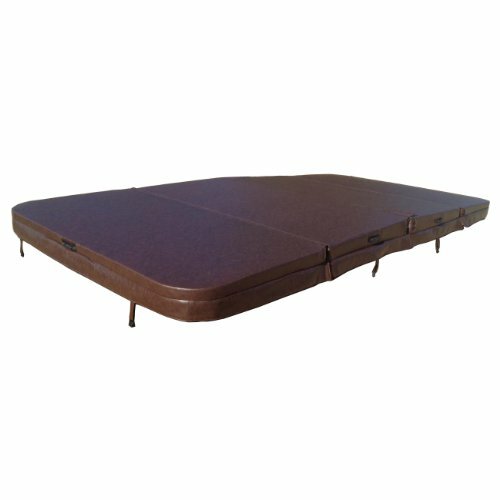 This cover is made to spread out over the surface of your hot tub and float on the water without having to be attached to anything. It absorbs sunlight and utilizes it to directly heat up the water in your hot tub without having to run the heater all the time. This is an environmentally-friendly and all-natural way to heat your hot tub without having to run up your electric bill. Reduces your electric bill by helping your hot tub stay warm without too many cycles. Easy to put on and replace despite durable thickness. This pretty blue color looks nice with any hot tub waterscape. May not work well in cold climates unless it is used in conjunction with a traditional plastic cover. 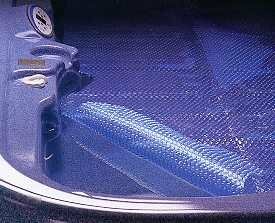 May arrive with a seam in the center that will need to be pressed out before use. May smell unpleasant like plastic immediately after opening. This 11 ft. x 11 ft. Floating Solar Spa and Hot Tub Cover is the perfect solution for anyone looking to heat a very large spa or even a small pool by harnessing the power of the sun. This is not a solar panel style heating system, but it is a great way to provide hot water at all times without having to run your hot tub’s heater constantly. Simply lay it on top of the water and allow it to soak up the sunlight naturally. It will also naturally heat the water by trapping the sun’s warmth and using it to keep your water as hot as you like it at all times. Large size makes this a great option for anyone with a big or custom sized hot tub. Despite its weight and thickness, this product is easy to move and replace as needed for regular use. Won’t bunch up or clog your jets or filter even when in use. Although it is designed to be trimmed down to other sizes, this may be very difficult to do. May arrive with some bubbles popped or damaged from transit. With the Natural Current NC10WSPCACOV Savior Solar Powered Spa Cover on hand, you can choose just the right amount of wattage to suit your spa’s needs. This small solar panel provides up to 10 watts of power, meaning you can pair it with other 10-watt or higher panels to get just the right amount of energy every time you need to use your hot tub. This panel can provide power to help you run the jets in your hot tub, and it can also help you keep your spa water filtered and warm at all times. Install it on the side of your hot tub for great results. Easy to install and use even without prior solar panel experience. Lightweight but durable and made to last even in inclement weather. Easy to mix and match with other solar panels and Natural Current products. Individual solar panels aren’t strong enough to operate anything on their own. These panels don’t feature any added protection against breakage. The panels may be too heavy for installation on the sides of some hot tubs. Choose the Natural Current NC30WSPACOV Savior Solar Powered Spa Cover for 25 watts of solar power to help you get started with your off-the-grid hot tub experience. 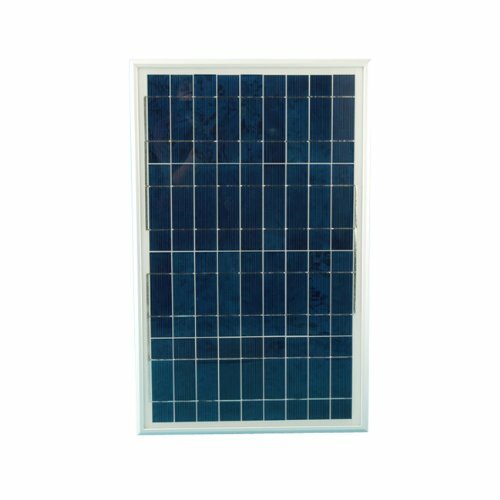 With these individual panels, you can choose the right amount of solar power for your needs by purchasing as few or as many as necessary to create the right wattage for your spa. Pick up a few and mount them directly onto the sides of your hot tub for the best possible sunlight exposure in your backyard. These panels can help you filter, heat, and operate the jets in your hot tub as many times as you like and as frequently as needed. Simple to install and easy to use even without experience with solar panels before. Durable and built to last with extended use around water and in direct weather. Can be paired with other Natural Current products for better results. This panel is not strong enough on its own to operate a spa. It may be very expensive to purchase enough panels to work properly. This panel is large and may be hard to mount on your hot tub. 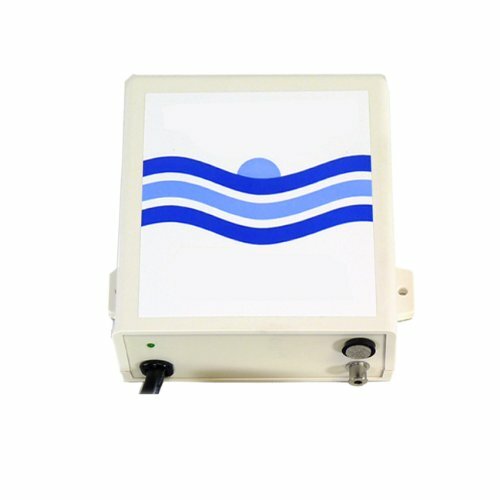 Purchase a single Natural Current NC60WSPACOV Savior Solar Powered Spa Cover to provide your spa with 60 watts of pure solar energy to help operate it off the grid. This solar panel can be mounted on the side of your hot tub or floated in a durable plastic floating base on the surface of the water. Whichever way you choose to use it, it can provide you with enough power to operate your heater, filter, and jets for a use before it’ll need to recharge. This is a great solution for anyone who doesn’t use the hot tub quite as often and who might want to save on the electric bill when it comes to keeping it operating. Capable of operating a small spa for a single use on its own in some cases. Durable solar panels are easy to install and built to last. Great for using along with other Natural Current products to keep your hot tub off the grid. Single panels may be too weak for use in most spas. Purchasing individual panels alone may be more expensive than buying in bulk. Panels don’t feature protection against breakage. Choose the Natural Current NC120WSPACOV Savior Solar Powered Spa Cover for a lower-power alternative to some of the higher wattage solar panels on this list. These solar panels are designed to attach to the sides of your hot tub, but you can also purchase a floating base that will allow you to place them right on the surface of the water as well. Use them to provide plenty of power for a smaller hot tub to operate as it filters, bubbles, and heats just like it would on traditional electricity. 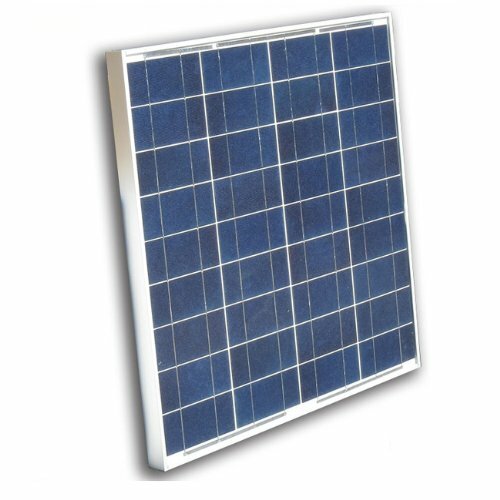 Comes in a set of two 60-watt panels to make installation easier. Easy to keep clean with just a simple glass cleaner. Pairs well with other products for a completely off the grid hot tub experience. This option is quite expensive and may be over your spending budget. Two panels may not be enough for some large hot tubs. Some hot tubs may not be sturdy enough to mount these on the sides. The Natural Current NC220WSPACOV Savior Solar Powered Spa Cover is a 240-watt solar panel experience that you can mount easily to the sides of your hot tub for tons of sunlight exposure when and where you need it most. Set up this set of four solar panels and let them take care of all your energy needs for you. These panels provide plenty of power to heat your hot tub, and you can also plug them in and use them to provide electricity to run the whole spa. 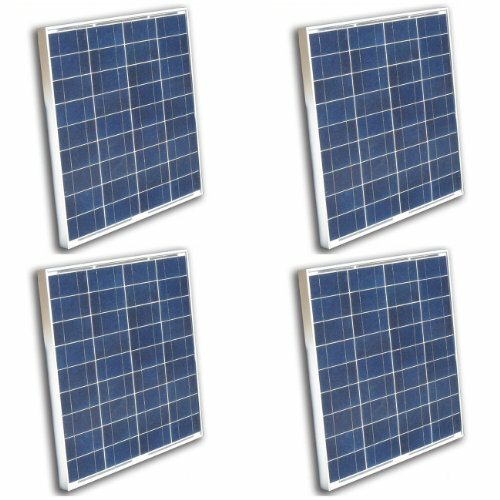 Available in a set of four 60-watt panels for perfect placement every time. Easy to install and maintain even without solar panel experience. Designed to keep your hot tub functioning for several uses without needing to recharge. This is an expensive option that may be over budget for many. Panels feature little protection from breakage. Panels may be too heavy for the sides of some hot tubs. The Natural Current NCOZSPACOV Savior Solar Powered Spa Cover breaker is a necessary component of your entire Natural Current off-the-grid system. 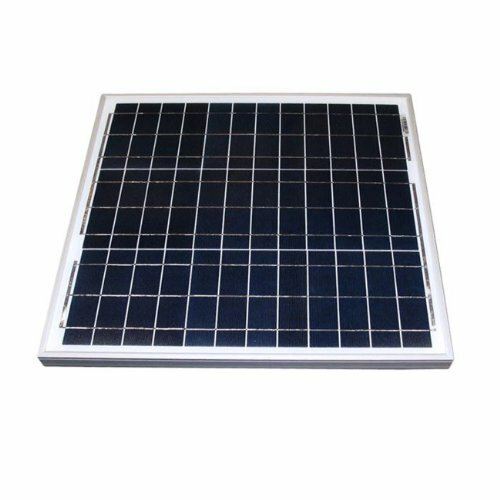 This product is made for use with any Natural Current solar panel, and the panels themselves plug right into it. This is how the solar energy from your panels is transferred into electricity you can use in your hot tub. Be sure to purchase at least one of these important little boxes when it comes time to bring your solar panels home. This durable plastic box will keep inner workings safe even when used around water. Designed for use with any Natural Current products. Easy to hook up and even easier to maintain. This is a very expensive device, especially when bought along with an expensive solar panel. May not have all the bells and whistles needed to monitor panels efficiently. The outer casing has been known to break with extended use. Choose the Natural Current NCFBSPACOV Savior Solar Powered Spa Cover base when you need something to float your solar panels right on the surface of your hot tub. 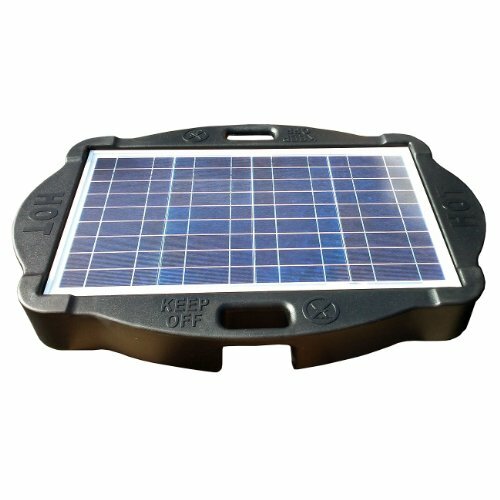 This product does not include the actual solar panel but is only the plastic floating base that helps it function properly. 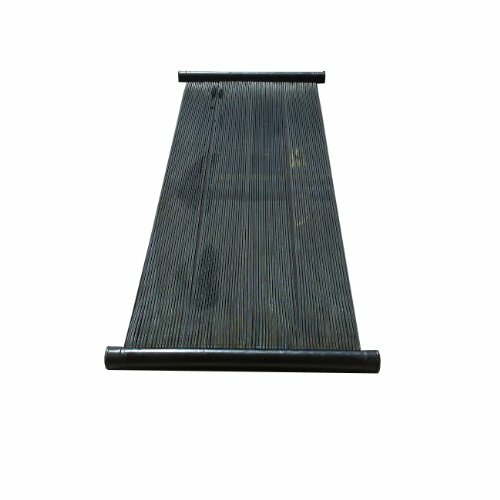 It is compatible with the 5’ x 5’ solar panel from the same company, and it gives you the unique opportunity to allow your solar panel to float on the surface of your hot tub for optimal sun exposure. Purchase this durable plastic float today to make your off-the-grid hot tub experience even easier. Durable plastic is made to last even with frequent use in chemically treated water. Plastic casing fits most Natural Current products. This base will always stay afloat, even when used along with your jets. This base is not capable of supporting people, so it may be a hazard with children. The base doesn’t provide any protection for the glass of the solar panel itself. This is a very expensive base that may be too costly along with other solar products. The Natural Current NCSIDSPACOV Savior Solar Powered Spa Cover gives you the chance to power your hot tub with solar energy without having to focus solely on the cover. This product works great in conjunction with an official Natural Current brand spa cover in place, but it can also be installed on the side of your hot tub to provide you with plenty of solar power to operate your hot tub without ever having to hook it up to the grid. Larger panels make side installation a great option for backyard hot tubs. Even with no prior solar panel experience, these are easy to install. 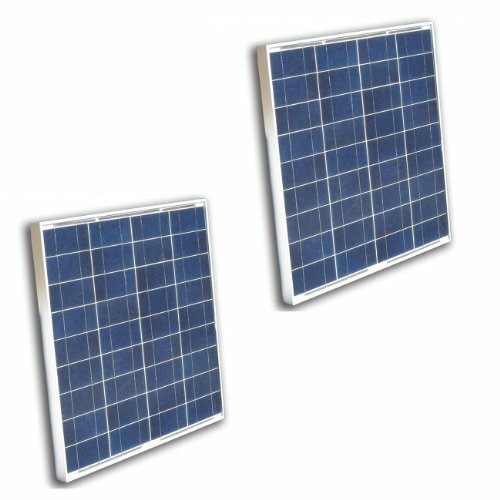 These panels provide plenty of power for frequent spa uses. The panels are prone to damage when kept at the ground level in the backyard. Frequent splashing from chlorinated water may make these panels less effective. The Natural Current NCTHRSPACOV Savior Solar Powered Spa Cover screen is a great solution for anyone with a smaller hot tub who might be looking for a way to harness the energy of the sun for heating purposes. Since this is a smaller thermal heater for your spa, it can only be used with 5’ x 5’ hot tubs. Still, it’s a good solution that can help you reduce the costs of your spa’s electrical operations by quite a lot while also offering some extra heating in conjunction with other Natural Current products. This heater is designed to work well along with other Natural Current products. The simple, thin design makes it easy to install and remove this solar heater as needed. This heater doesn’t get dirty easily and can be kept clean with regular light rinsing. This is a very expensive thermal heater that must be used along with equally expensive solar panel products. This heater is made of a fine mesh that can easily tear. The thermal heater is designed to roll up, which means it may bunch on the surface of the water. Choose the Natural Current NCSSPA1CUSTFCOV Savior Floating Spa Cover when you’re looking for a thinner, floating alternative to some of the larger Natural Current products available. This durable cover does everything the other Natural Current products can do, and provides you with heated water and proper filtration without ever having to hook your spa up to any other source of electricity. Operate your spa the environmentally-friendly way with this excellent product. This is a very durable spa cover that can stand up to years of extended use. The center of this spa cover isn’t made of foam, so it won’t retain water and get soggy. Thin, sleek design is easy to work with and won’t look bulky in your hot tub. This is a very costly product that may be too expensive in comparison to other, similar options. The material of this cover is prone to tearing frequently. This cover works best in conjunction with other traditional types of spa covers. With the Natural Current NCSDCUSTSPACOV Savior Swim Spa Cover, now you can harness all the power of the Natural Current system and keep it from escaping! Although this spa cover may look like a traditional one you might find in any pool store, it is actually a great option for anyone who is looking to create a heated pool by utilizing the best qualities of the Natural Current solar panels system. Use it in conjunction with your solar panels to keep your water heated and filtered at all times. This spa cover works well in conjunction with other Natural Current products. This cover can be used along with the floating spa cover to heat your water naturally without solar panels. 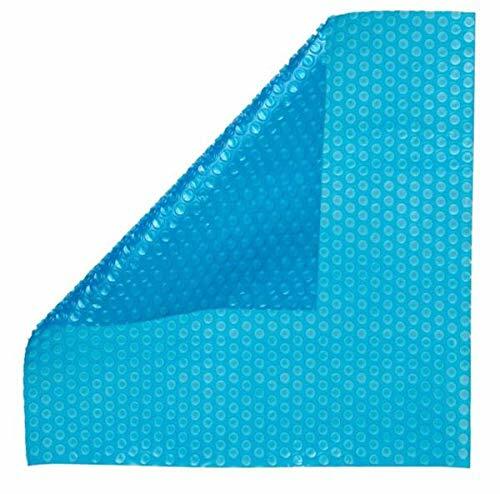 The durable plastic material of this cover can hold up to years of use. This is an expensive spa cover that may be way over budget for some. This spa cover is very large and might be too big to fit some spas, with no option to cut it down to size. This is a heavy spa cover that may be hard to work with. At its most basic, a hot tub cover is simply a cover that is designed to keep your hot tub protected. However, there is a lot more to it than that, and there are many different types of hot tub covers you should keep in mind when it comes time to do your shopping. Check out this list to help you understand the three main types of hot tub covers you’ll be looking at when you start searching for the perfect one for your spa. Traditional covers – These are the large, bulky plastic covers you have probably seen before. They are usually very thick and can be folded up and placed to the side of the hot tub when it isn’t in use. Although they’re a little outdated, they’re still a great way to heat your hot tub and to keep debris and dirt out of it when you aren’t using it, too. Thermal blankets – There are very thin sheets of plastic covered in tiny bubbles that help them float on the surface of your spa water. They use the heat from the sun to warm up the water and keep it warm as much as possible. They’re a great option if your hot tub is placed in direct or nearly direct sunlight in your backyard. Solar panels – You can use solar panels to not only heat your spa but also operate the entirety of the spa system if you have strong enough panel wattages available. Install a solar panel system for your hot tub and you’ll be able to use the whole thing completely off the grid, which will help the environment and also save you a lot of money in the long run. You might think you understand a lot about why your hot tub needs a cover, but you could be surprised by just how much these covers can really do. Check out this brief list to help you understand how important it is for you to have a hot tub cover at the ready when you use your spa frequently. Hot tub covers keep your water safe. They keep large debris like twigs and leaves from getting into your spa water, and in turn, from drifting into your filter, pipes, and pump. This can prevent a lot of damage from potential problems such as these. Covers can heat your water without the use of your hot tub’s heater. This cuts back on the number of cycles it runs in a day, which can save you a lot of money on your electric bill. If you use solar panel covers, you can run your whole hot tub with one of these simple covers. If you’re looking for a great way to save a lot of money overall, this is an excellent opportunity for you. Hot tub covers also help prevent children from falling into the hot tub, which can be a safety hazard. For this purpose, it’s best to choose traditional plastic covers, but other types may work as well depending on your situation. Now that you’ve seen how many different options you have to choose from, it’s time to select the right hot tub cover for you. Do you prefer to go with a full solar panel system, or are you happier using a thermal blanket instead? Is a traditional cover more your speed? Whichever you choose, there are a few tips and tricks you can keep in mind to help use your cover more smoothly. It’s hard to remember whether to put hot tub solar blanket bubbles up or down. However, the general consensus is to put them down. When they’re down, they can help the blanket float easier and provide more space for heat to move. Do this and you’ll never wonder whether to put spa solar cover bubbles up or down again. When using solar panels, remember that you’ll need to know a little bit about installing them. While they come with directions, you might still want to call a professional to take care of this if you don’t feel comfortable doing it on your own. Always handle solar panels with care to keep them from breaking. Keep these tips in mind and you’ll have a smoother operation of your solar heating no matter which option you choose. Happy soaking!